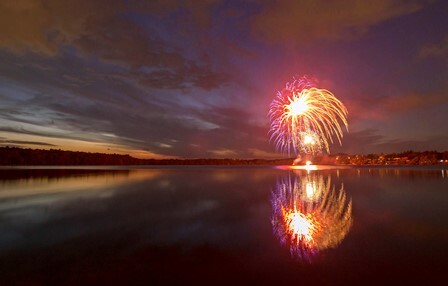 Fireworks over Lake Chauncy capped a perfect day of celebration. 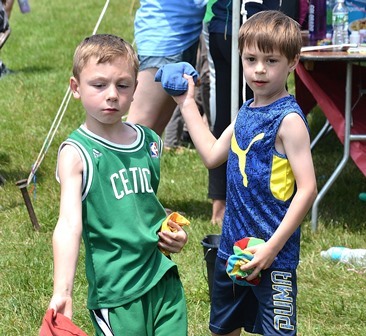 Westborough – As part of the landmark year of celebrations, the Rotary Club of Westborough combined its 15th annual Westborough Spring Festival (WSF) with the Westborough 300th Anniversary Committee’s Family Fun Day. 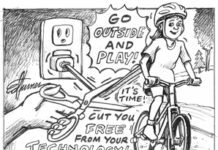 Numerous residents and guests enjoyed a full day of family-friendly activities June 10 at Chauncy Fields. Also, MassWildlife hosted an open house and gave fishing lessons at Sandra Pond. 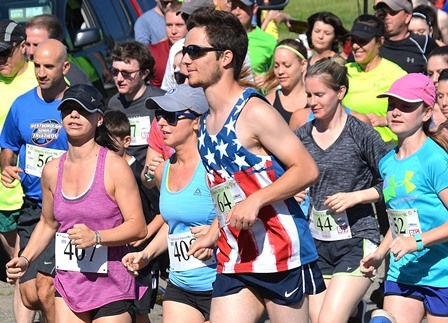 The day began with about 150 runners and walkers participating in the 15th annual WSF 5K Road Race. Traditionally, the race begins and ends at Westborough High School (WHS). 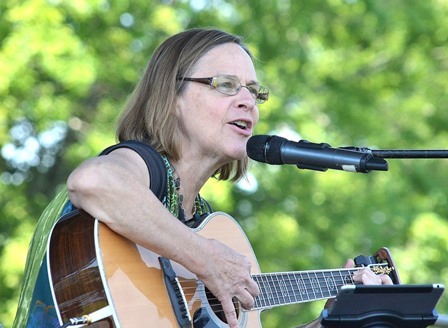 This year’s running course was the same as the Westborough Triathlon of years past. Still, WHS was well-represented at this year’s 5K. WHS 2012 alum Brendan Robertson finished first overall in 17:13. First-place female was WHS 2007 alum K.T. Rich, finishing in 20:57. 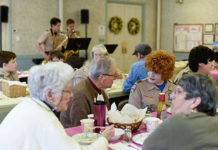 Evening musical entertainment began with the Hundredth Town Chorus leading a sing-along of “Happy Birthday” to Westborough. 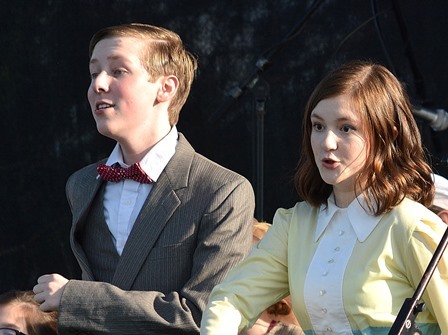 Young performers of SkyRise Theater previewed numbers from their production of “The Music Man.” SNG Band provided dance music before a fireworks finale. 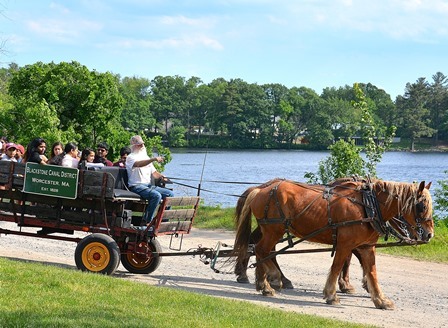 Photos except where noted/Ed Karvoski Jr.
Festival-goers ride a horse-drawn wagon alongside Lake Chauncy. 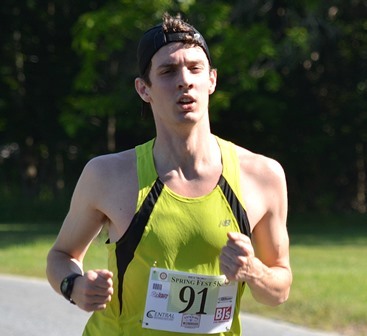 Brendan Robertson finishes the 5K road race first overall in 17:13. 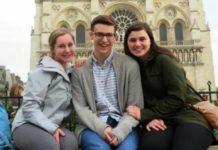 K.T. 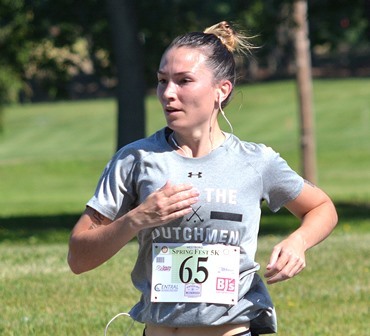 Rich is the first-place female, finishing the 5K road race in 20:57. Runners begin the 5K road race from Chauncy Fields. 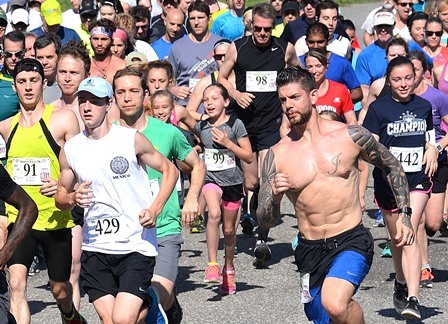 Runners of all ages begin the 15th annual Westborough Spring Festival 5K Road Race. 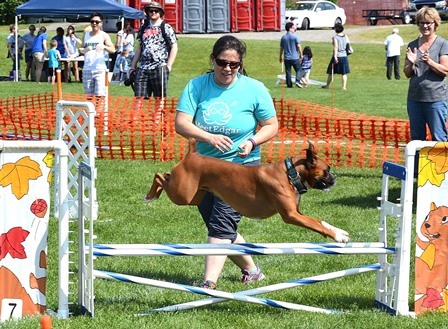 Cara Armour guides her boxer Debbie to do a double jump during a dog agility demonstration. 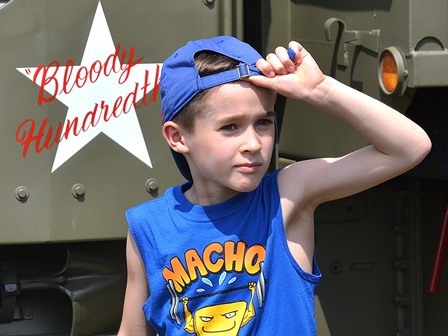 Ryan Hall, 8, checks out a World War II 1945 CCKW. 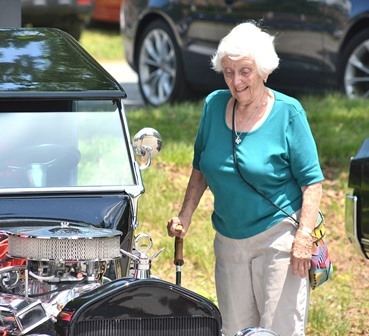 Jackie Reichard peruses the display of vintage vehicles. 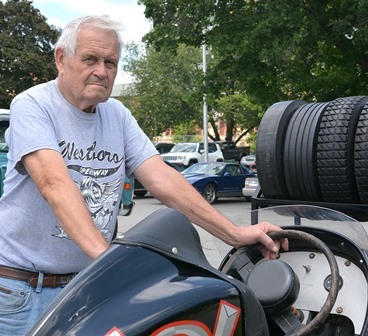 Wearing a “Westboro Speedway” T-shirt, Bruce Webber of Shrewsbury displays his 1951 Ford V8-60 Midget. 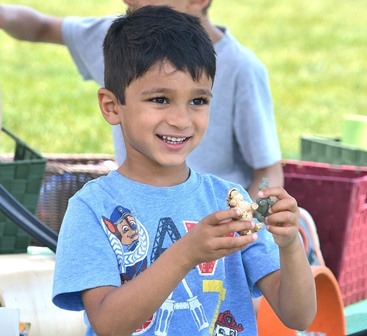 Rakshaw Patel, 4, plays with toys at the Miss Tanya’s Family of Nursery Schools booth. 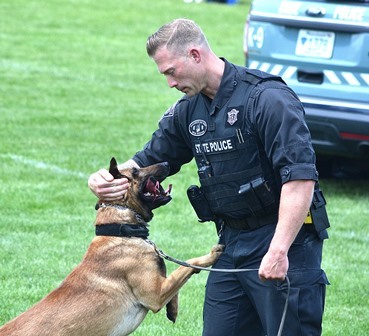 A handler with the Massachusetts State Police K-9 unit offers a demonstration. 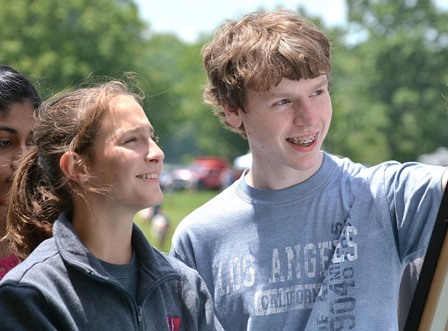 Westborough High School Student Council members and rising sophomores Cecilia Goetz and Conor McGrath play Bug Race. Sammy Weitz and Triston Krumsiek, both 6, toss bean bags toward a target. 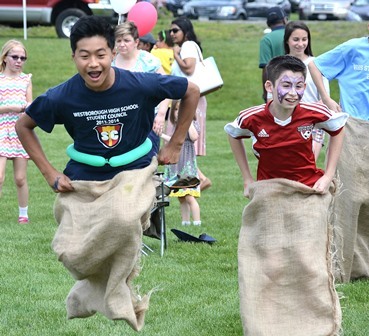 Westborough High School Student Council members and rising freshmen Derek Lu and Jack Kelly good-naturedly compete in a potato sack race. 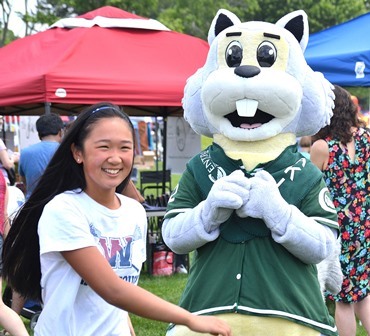 Sarah W. Gibbons Middle School seventh-grader Melissa Kuang meets Oakie, mascot of Central One Federal Credit Union. 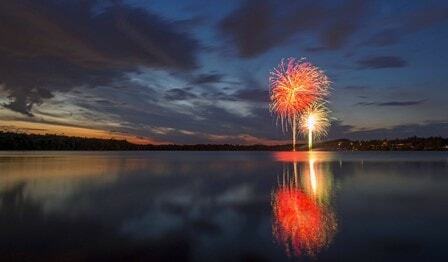 Luanne Crosby of Westborough musically wishes “The 100th Town” a happy 300th birthday. 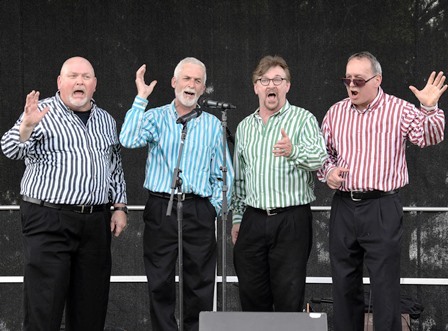 (l to r) Rick Munnis, Mark Goodney, Gary Swanson and Chris Harris harmonize as the local barbershop quartet Theatrix.